← Leaky Roof? Call the “Plumber”. 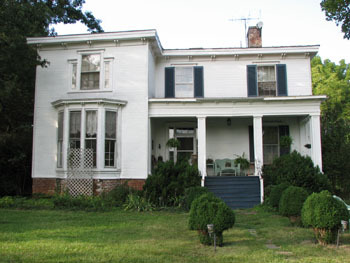 HistoryTech – Historic Preservation Consulting of Lynchburg, Virginia worked to get Caryswood, an 1855 Italianate style farmhouse on the National Register of Historic Places based upon its historic significance, original historic fabric, and setting. The Italianate style has an open, modern feel to it that seems ahead of its time. It shares the clean lines of its predecessor, the Greek Revival and avoids the busyness of its style successor, the Victorian. We prefer the flat roofed or low pitched roof versions of the style, which give the deep overhung eaves added weight. We have seen versions where the flat roof was used as a device to collect water in a cistern in the basement, by constructing it with negative pitch, away from the eaves. 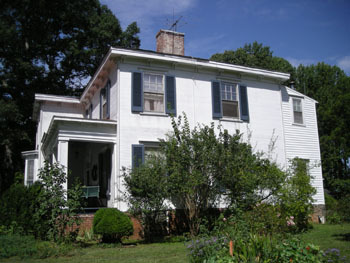 This is still a pre-Civil War farmhouse, subject to alterations at need – – note the leanto addition at the rear, as if it were a colonial saltbox. 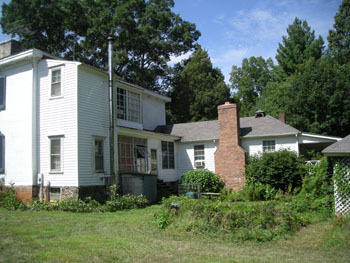 Rear elevation, note lean to addition. This entry was posted in Architectural Conservation and tagged Virginia. Bookmark the permalink.